DGR-Crosley will field both its No. 54 and No. 17 entries in Saturday’s Texas Roadhouse 200 NASCAR Camping World Truck Series race at Martinsville. While recently crowned NASCAR K&N Pro Series East Champion Tyler Ankrum drives the No. 54 flagship truck for the team, Kyle Benjamin will drive the No. 17. Benjamin has one previous Truck Series start, coming earlier this season with DGR-Crosley at Martinsville. He finished second in that race, driving the No. 54. Benjamin also has eight-career starts in the NASCAR Xfinity Series, three of those coming this year and all with Joe Gibbs Racing. He has two-career top-fives in the series, both at Iowa Speedway in Newton in each of the last two seasons. 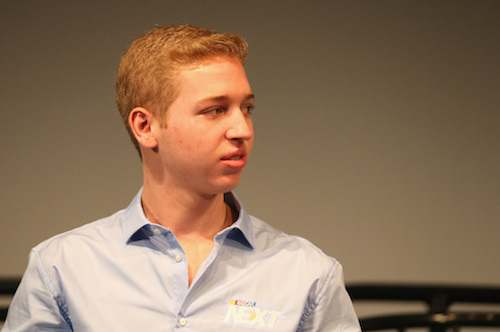 Benjamin also has 23 races of experience in the ARCA Racing Series between 2013 and 2017, resulting in three wins, nine top-fives and 17 top-10 finishes.